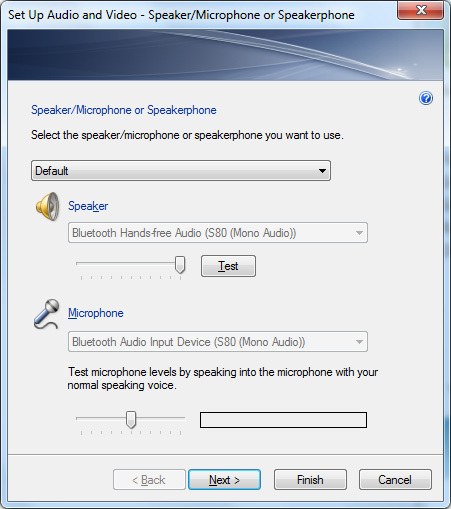 Configuration of Webcam Simulator in MSN Messenger. 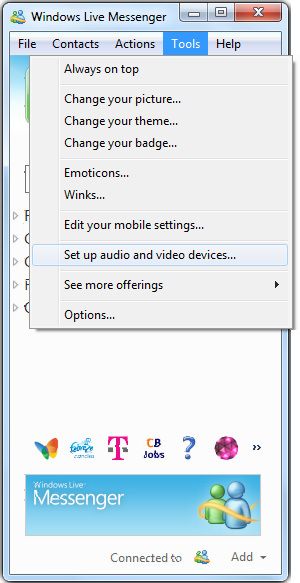 1 - Click on 'Tools' menu and select 'Set up audio and video devices...'. 2 - Click 'Next' for go to video settings window. 3 - Select 'Webcam simulator Source V6.3' from drop down list and click 'Finish'.You must restart MSN messenger for settings to take effect.